Highlights of this 2019 Volkswagen Beetle S include: FUEL EFFICIENT 33 MPG Hwy/26 MPG City! CD Player, Aluminum Wheels, Turbo Charged Engine, Back-Up Camera, Bluetooth, iPod/MP3 Input. Highlights of this 2019 Volkswagen Beetle Final Edition SE include: Moonroof, Heated Seats, Back-Up Camera, Turbo Charged, Satellite Radio, Aluminum Wheels. EPA 33 MPG Hwy/26 MPG City! Highlights of this 2019 Volkswagen Beetle Convertible S include: Heated Seats, Aluminum Wheels, Turbo Charged Engine, Back-Up Camera, Bluetooth, iPod/MP3 Input. EPA 33 MPG Hwy/26 MPG City! 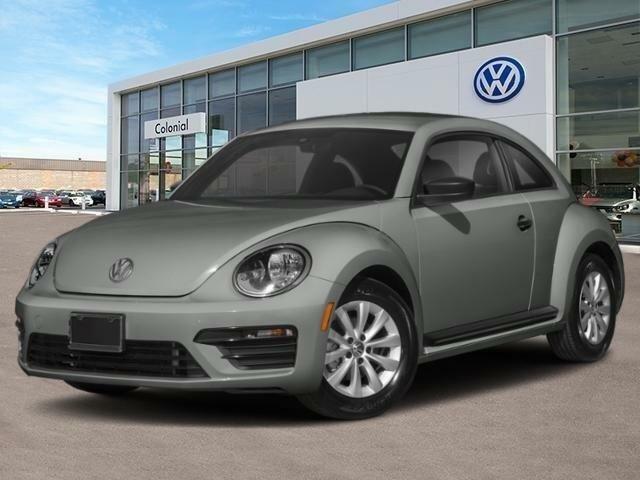 Highlights of this 2019 Volkswagen Beetle Final Edition SEL include: Navigation, Heated Leather Seats, Sunroof, COMBINATION ASSISTANCE KIT, Alloy Wheels, Back-Up Camera, Turbo Charged. FUEL EFFICIENT 33 MPG Hwy/26 MPG City! COMBINATION ASSISTANCE KIT First Aid Kit w/ASK, Roadside Assistance Kit w/ASK, booster cables, warning triangle, LED flashlight, work gloves, multi-tool and more. Highlights of this 2019 Volkswagen Beetle Convertible SE include: Heated Seats, Alloy Wheels, Turbo, Back-Up Camera, iPod/MP3 Input, Satellite Radio. EPA 33 MPG Hwy/26 MPG City! Highlights of this 2019 Volkswagen Beetle Convertible SE include: Heated Seats, Alloy Wheels, Turbo, Back-Up Camera, iPod/MP3 Input, Satellite Radio. FUEL EFFICIENT 33 MPG Hwy/26 MPG City! Highlights of this 2019 Volkswagen Beetle Convertible SE include: Heated Seats, Aluminum Wheels, Turbo Charged Engine, Back-Up Camera, iPod/MP3 Input, Satellite Radio. FUEL EFFICIENT 33 MPG Hwy/26 MPG City!